It's the smallest things that make all the difference! BeoLab 2 Subwoofer: Put yourself at the eye of the storm and enjoy a new sound experience. Just when you thought it couldn't get any better - it does. The BeoLab 2 subwoofer has only one purpose: to exploit the new world of sound that Digital technology has opened up. Sit back, hold on tight - and experience a deep bass sensation you only thought possible at the cinema or concert hall. 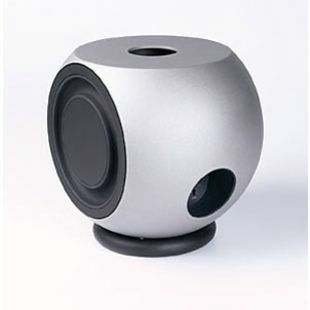 BeoLab 2 is the latest (2001) member of the loudspeaker family and has been specially designed to handle the low end of the sound spectrum. It completes your surround set-up and allows you to experience details in movies and music that you've never heard before. It just about as good as bass gets! The new powerful BeoLab 2 adds a totally new dimension to the Bang & Olufsen sound experience. As digital technology opens up a whole new world of sound, the compact BeoLab 2 subwoofer lets you experience a deep bass sensation that you only thought possible at the cinema or concert hall. Reproducing the low frequency sounds that normal loudspeakers can't reproduce, BeoLab 2 utilises its built-in 850 watt amplifier to ensure that you no longer only hear your favourite piece of film or music, but feel it as well. The introduction of Bang & Olufsen’s new generation of widescreen Beovision Avant television and a new BeoLab 2 subwoofer have completed a powerful home cinema experience the Bang & Olufsen way. Available from June 2001, these two products are perfect for film aficionados who want a trip to the movies from the comfort of their favourite sofa. As the electronic curtain sweeps aside, the TV turns noiselessly to face the viewer and begins the feature screening with Dolby Digital® surround sound to ensure the best picture and sound quality ever produced from the integrated video recorder and/or the separate DVD system. The new flat widescreen surface (called Real Flat) is not only unique, attractive and contemporary, but offers technically advanced picture quality in either 28” or 32” versions. True to Bang & Olufsen’s philosophy of simplifying rather than over-complicating technology, the whole cinema set-up is controlled by just one remote the Beo4 – it can even dim your room lighting when used with compatible light control systems. • With the introduction of BeoLab 2, it’s now possible to fully exploit the multi-channel surround sound offered by today’s digital media. It is powerful enough to effectively reproduce the deepest bass effects, and visually appealing enough to fit into the entire Bang & Olufsen cinema set-up. 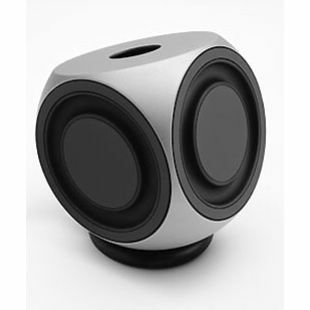 • The BeoLab 2 subwoofer delivers an exceptionally deep bass reproduction compared to it’s modest physical size. Powered by a 850 watt ICE Power amplifier, it is characterised by a combination of compactness and efficiency. • The BeoLab loudspeaker programme features freedom in choice regarding loudspeaker design, colour and placement possibilities. 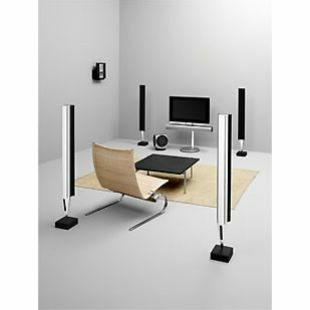 • A/V compatibility - Connecting Beovision Avant to a Bang & Olufsen audio product creates synergy, and provides a number of benefits, such as easy operation of all sources via only one remote control, and logical system functions." The first design model of BeoLab 2, was finished in high gloss black . Its width was 230mm and the loudspeaker membranes were shielded behind a round grille. The model expressed the wishes of designer David Lewis to reflect proper balance between both the demands for excellent sound reproduction and good looks. In designing the new sub-woofer, the next step was to make a drawing of the exterior as a starting point, in relation to its internal components. In allowing these components to be fitted, BeoLab 2's specifications had to be enlarged. This new width became 4cm larger. However, it was widely agreed that this was marginally too large so a compromise of 260mm was agreed upon by the design group at Struer. And this is the width of the BeoLab 2 today! 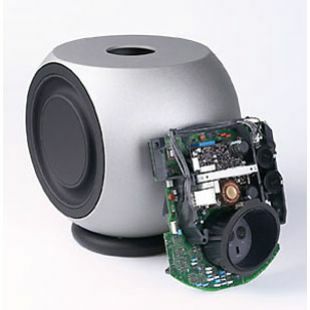 Beoworld says: Powerful sub-woofer which adds massively to a surround system. Less happy with stereo music where it can sound a little overblown.